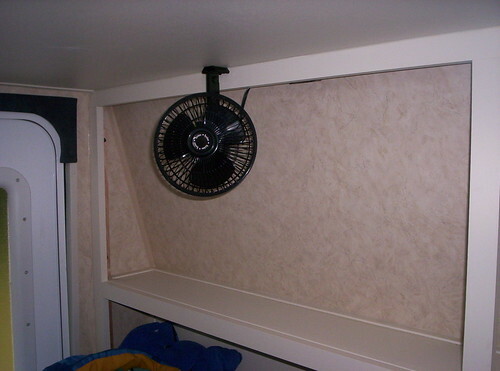 My daughter was getting a little warm in her bunk during our last camping trip, so I decided to put her a fan in to keep the air flowing. 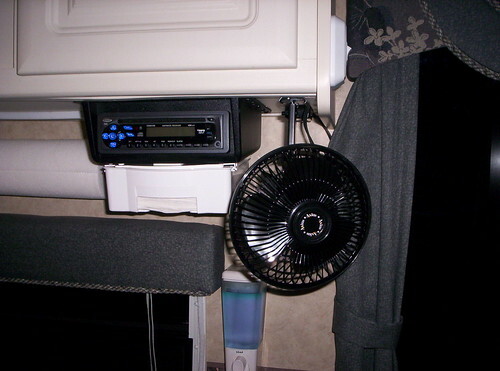 I had been wanting to add a 12-volt fan to the main living area anyway, so I decided to tackle both jobs today. A trip to Wal-Mart for two fans($8.48 each) and we're halfway there. Very slick. Mods are part of the fun. We have always had problems finding a place for our shoes. I bought one of those three layer,18 pocket shoe caddys. 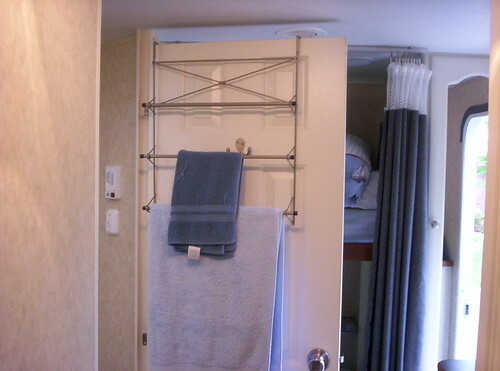 Cut it into three strips of 6 pockets each and then mounted them below the matress on the bed frame box. Problem solved. Held together via Roadmaster Falcon 2 tow bar and stopped by US Gear Unified Brake system. This is one of my small mods, I hope this comes out first time doing picturesHERE IT looks crooked but it's just an optical illusion. 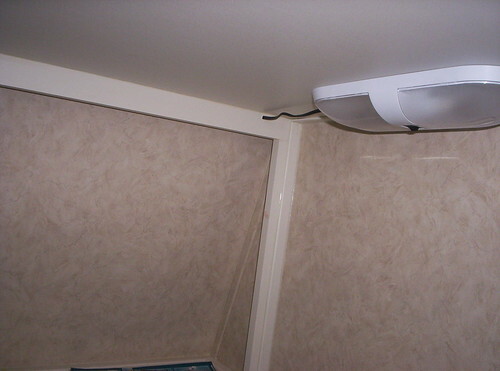 I mounted this in the closet, and as you can see used a Inside antenna w/booster...no hole in the TT. 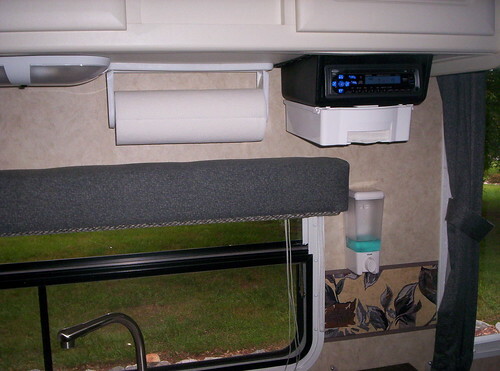 Where did you get your Am/FM stereo enclosure under the cabinet???? Bass Pro Shops has them in the marine department for a reasonable price. 2Rad- I've always been a little leery about nailing or screwing into the thin walls of my TT. 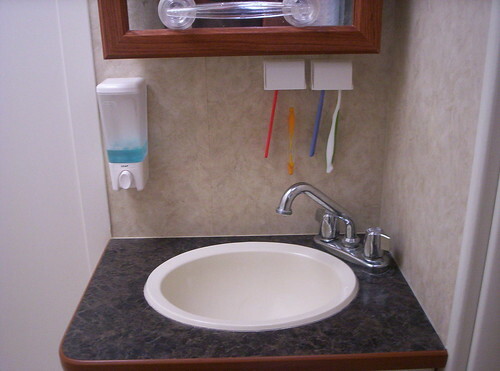 How did you attach the soap dispenser and toothbrush holders. Did you screw them in or some sort of 3M tape?